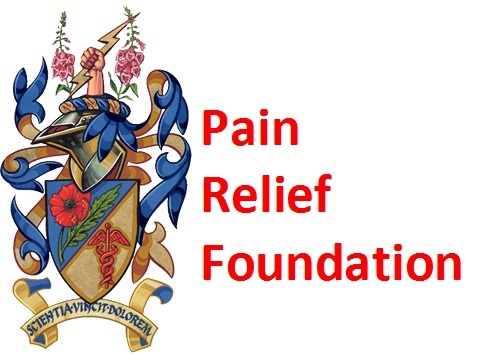 The Pain Relief Foundation started the Annual Lecture a few years ago as a Millennium project. Each year an eminent pain physician or scientist is invited to lecture on a topic currently of interest, in pain research or management. The lecture is given each year in honour of a person who contributed much to the field of pain treatment or research during his or her career. A short presentation about their life and work is given before the lecture by a fellow academic or clinician. Chris Ecclestone is Professor of Medical Psychology at the University of Bath, UK, where he also directs the Centre for Pain Research. He established the highly respected Bath Pain Management Unit in 1995, developing intensive treatment programmes for both adults and adolescents with chronic pain. He is chair of the science committee for the European Pain Federation. This year he received the prestigious IASP Ronald Melzack Award. This is the nineteenth of an annual series of lectures to honour those who have made an outstanding contribution to the treatment and study of chronic pain. Stephen Morley was a highly respected researcher committed to advancing the rigour and quality of research in psychological treatments for pain. He supervised many trainees’ research, inspiring many to a career in research. He published extensively. He edited the British Journal of Clinical Psychology. He was awarded an honorary membership of the International Association for the Study of Pain – a rare honour. He died in 2017 aged 67. This year a short appreciation of his life and work was given by Tamar Pincus, Professor of Health Psychology at Royal Holloway, University of London. David Finn is Professor of Pharmacology and Therapeutics and Co-Director at the Centre for Pain Research at the University of Galway Ireland. This is the eighteenth of an annual series of lectures to honour those who have made an outstanding contribution to the treatment and study of chronic pain. This years lecture was given by David Finn Professor of Pharmacology and Therapeutics and Co-Director at the Centre for Pain Research at the University of Galway Ireland. His research aims to increase the understanding of the neurobiology of pain and psychiatric disorders including anxiety and depression, with an emphasis on the endogenous cannabinoid, opioid and monoaminergic systems. He is currently President of the Irish Pain Society and sits on the Scientific Advisory Panel of the European College of Neuropsychopharmacology. He has published 115 peer reviewed articles. Mark Swerdlow created the specialty of Pain Medicine in Great Britain. He was responsible for the formation of the Intractable Pain Society (IPS) fifty years ago, in 1967, which was later rebranded the British Pain Society. Born and bred in Manchester he set up one of the first Pain Clinics in the world in 1955 at Salford Hospital. He died in 2003 aged 84. Professor Serge Perrot is a rheumatologist and a pain specialist. He currently heads the Pain Centre of Cochin Hospital, in Paris, France. This is the seventeenth of an annual series of lectures to honour those who have made an outstanding contribution to the treatment and study of chronic pain. Jean-Marie Besson died in 2014. He was a founding member and later president (1996-99) of the International Association for the Study of Pain (IASP). He was an inspirational pain neuroscientist whose pioneering work included identification of descending pain control and the effect of morphine on the dorsal horn. This year’s lecture was given by Dr Doug Gourlay who is an anesthesiologist and former Director of Pain and Chemical Dependency at the Wasser Pain Management Centre at Mount Sinai Hospital, Toronto Canada. He specialises in the assessment and management of pain and addictive disorders. Dr Gourlay’s area of expertise is in chronic opioid therapy for the treatment of malignant and non-malignant pain. From Spinal Cord Stimulation to Neurostimulation for Chronic Neuropathic Pain. Dr Jean-Pierre Van Buyten is a Consultant in Anaesthesia and Pain Management and the Director of the Multidisciplinary Pain Centre at Nikolaas Hospital in Belgium. For many years he has been at the forefront of developing, trialling and successfully using a range of neuromodulation techniques for the treatment of intractable chronic pain, and he has published extensively in this field. William Sweet was a pioneering functional neurosurgeon specialising in intractable pain management and the 3rd President of the American Pain Society. He wrote the seminal surgical textbook on neurosurgery for pain. This year a short appreciation of his life and work will be given by Dr Chris Wells. Maarten van Kleef is a Professor in the Department of Anaesthesiology and Pain Management at Maastrict University and Head of Pain Research. He specialises in interventional pain medicine and is extensively published in this area. He has embarked on systematically reviewing interventional pain medicine procedures. Professor Ainsley Iggo was a prominent researcher in Edinburgh, who discovered nociceptions and was instrumental in outlining their function and characteristics. The discovery provided a major advancement in pain science. He was a founding member of IASP, and he was the IASP President from 1981 to 1984. A short appreciation of his life and work was given by Vince Moloney. Giorgio Cruccu is Professor of Neurology at Sapienza University in Rome. His main research interests include the neurophysiology of pain and the human trigeminal system. He was part of the EFNS Panel on Neuropathic Pain. David Bowsher was a prominent researcher in the field of chronic pain. He was co-Founder of the Pain Relief Foundation and the Pain Research Institute in Liverpool and for his work on chronic pain, the City of Liverpool awarded him the prestigious Â‘Citizen of HonourÂ’ award. David was a founding member of IASP. A short appreciation of his life and work was given by Professor Jackie Campbell from the University of Northampton, who worked with David in Liverpool. Robert Dworkin is Director of the Anaesthesiology Clinical Research centre at the University of Rochester Medical Centre, USA. His main research interests include the methodological aspects of analgesic clinical trials and neuropathic pain. Ed Charlton was a Consultant in Pain Management at Newcastle-upon-Tyne, a past President of the British Pain Society and a founding member of the International Association of Pain. He was widely recognised as a potent force in Pain Medicine. This year a short appreciation of his life and work was given by Dr Douglas Justins from St Thomas’ Hospital in London. Geert Crombez is head of the Department of Experimental, Clinical and Health Psychology at Ghent University. His main research interests are the fear of pain and attention to pain. Wilbert Fordyce was a professor in the Department of Rehabilitation Medicine at the University of Washington in the US prior to his retirement. A short appreciation of the life and work of Wilbert Fordyce was given by Eric Ghadiali from The Walton Centre in Liverpool. Professor Anthony Dickenson is professor of neuropharmacology at University Colege, London. His main research interest is in understanding the mechanisms of pain and how pain can be controlled in both normal and patho-physiological conditions. Dr Mitchell Max was the Director of the Molecular Epidemiology of Pain Program at the University of Pittsburgh Centre for Pain Research . He worked on large cohort studies of inflammatory and neuropathic pain until his untimely death in 2008. He established standards for pain clinical trial methodology and conducted some of the pivotal trials establishing the efficacy of tricyclics for neuropathic pain. In the late 1990s he began to conduct studies on the genetics of pain. A short appreciation of the life and work of Mitchell Max was given by Turo Nurmikko, Pain Relief Foundation, Professor of Pain Science, University of Liverpool and The Pain Research Institute, Liverpool. Complex Regional Pain Syndrome: What Causes it and can it be Treated? Professor Ralf Baronis Head of the Department of Neurological Pain Research and Therapy, Christian Albrechts University of Kiel, Germany. His main research interest is in the pathophysiology and therapy of neuropathic pain states. He is an associated editor and reviewer for many scientific journals and has received awards from the German Pain Society and the German Neurological Society. He is a Management Committee Member of the Neuropathic Pain Special Interest Group (NeupSIG) of the IASP. Dr David Niv was tragically shot and killed in 2007 aged 56. He was the Director of the Multidisciplinary Pain Control Unit & Pain Research Laboratory at Tel Aviv Sourasky Medical Center, Israel. He was one of the leading spokesmen in raising the profile of Pain Science and Medicine. He was President of The European Federation of IASP Chapters (EFIC) from 1999-2002 during which time he created the Europe Against Pain initiative. A short appreciation of the life and work of David Niv was given by Chris Wells, from Liverpool, an associate and friend of David Niv for many years. Professor Allan Basbaum is a Neuroscientist and Chairman of the Department of Anatomy at the University of California at San Francisco. His research interests are in the area of the neurobiology of pain and its control. He is Editor-in-Chief of the journal Pain. He was elected to the Institute of Medicine in 2005 and the American Academy of Arts and Sciences in 2003. In 2006 he was made a Fellow of the Royal Society. Dr John Lloyd was the founder of the Pain Relief Unit in Oxford. Together with colleagues he published several papers on cryoanalgesia for pain relief using a cryosurgical probe. He was an Honorary Member of the International Association for the Study of Pain and Past President of the British Pain Society. A short appreciation of the life and work of John Lloyd was given by Henry McQuay, Nuffield Professor of Clinical Anaesthetics, University of Oxford and The Pain Relief Unit at Churchill Hospital, Oxford. Professor Steven J Linton is professor of clinical psychology at Örebro University in Sweden. He is director of the Center for Health and Medical Psychology (CHAMP). After studying experimental psychology in the US he completed his doctorate at Uppsala University. His current research interests revolve around pain, stress and insomnia. He is interested in the effectiveness of early psychological interventions. Dame Cicely Saunders died in 2005 aged 87. She was the founder of the modern hospice movement. She was deeply religious and worked in various charitable homes for the dying from the late 1940s. She eventually studied medicine at St Thomas’s in London. She founded St Christopher’s Hospice in 1967 where she eventually died. Her books include Care of the Dying (1960); The Living Idea (1981) and Watch with Me (2003). A short appreciation of the life and work of Dame Cicely Saunders was given by Geoffrey Hanks , Professor of Palliative Medicine at the University of Bristol. Professor Sir Michael Bond is an emeritus professor in the Department of Psychology at the University of Glasgow. He is a past president of the International Association for the Study of Pain (IASP). His research interests are in the field of psychological and social factors in the generation and maintenance of pain. Professor Bond is a former Vice President and Administrative Dean for the Faculty of Medicine at the University of Glasgow. In 1995 he was made Knight Bachelor for his services to medicine. He is a Fellow of the Royal Society of Arts and a Fellow of the Royal Society of Edinburgh (FRSE). Professor Hans Kosterlitz died in 1996 at the age of 93. He was educated in Germany where he studied medicine. In 1933, with the advent of the Nazis, he came to Britain and joined the staff of Aberdeen University. He became Professor of Pharmacology and Chemistry there in 1968. In 1975 in collaboration with John Hughes, he discovered endogenous opiates, previously discussed by Solomon Snyder. They named these opiates enkephalins. A short appreciation of the life and work of Hans Kosterlitz was given by Dr Alexander McKnight who worked with Dr Kosterlitz in Aberdeen. Professor V S Ramachandran is Director of the Center for Brain & Cognition and professor in the Psychology Department & Neurosciences Program at the University of California, San Diego. His research interests lay in neural mechanisms underlying human perception, cognition and emotions. He is a fellow of the Neurosciences Institute in La Jolla, California & a Fellow of the Institute for Advanced Studies in Behavioural Sciences at Stanford University, California. He gave the BBC Reith Lecture in 2003. He is co-author of the critically acclaimed book “Phantoms in the Brain”. Dr Denise Albe-Fessard died in May 2003 at the age of 87. She was the first President of the International Association for the Study of Pain. She was a Chevalier de la Légion d’Honneur and an Officier de l’Ordre National du Mérite in her native France. A short appreciation of the life and work of Dr Albe-Fessard was given by Dr David Bowsher from the Pain Research Institute in Liverpool. Professor Troels Jensen was a professor in the Department of Neurology and the Danish Pain Research Center at the University of Aarhus. His research interests are in the field of neuropathic pain mechanisms and treatment. He was President-Elect of the IASP. Dr Peter Nathan was an eminent neurologist. He worked for many years at the National Hospital for Nervous Diseases in Queen Square in London. His main research interest was in the spinal cord and pain, in particular cordotomy. He was a founding member of the IASP and the Pain Society of Britain. He died in 2002 aged 88. An appreciation of his life and work was given by Dr Geoffrey Schott from the National Hospital for Neurology and Neurosurgery, Queen Square London. Professor Marshall Devor is Chairman of the Department of Cell and Aniaml Biology at the Institute of Life Sciences at the Hebrew University of Jerusalem in Israel. His research interests are in the neurobiological basis of neuropathic pain. Professor Patrick Wall, FRS, was a Founding Member of the IASP & the Brain Research Association and Founding Editor of the Journal, Pain. Pat Wall published “The Gate Control Theory of Pain” with Ronald Melzack in the 1960’s. He also edited “The Textbook of Pain ” with Ron Melzack. In 1989 he was made a Fellow of the Royal Society. He was Emeritus Professor at Guys and St Thomas’ Hospital until his death in August 2001 aged 76. An appreciation of his life and work was given by Professor Maria Fitzgerald, from UCL, who worked for many years with Pat Wall in London. Professor Henry McQuay was Professor of Pain Relief at the University of Oxford in the UK and a Consultant at the Pain Relief Unit at Churchill Hospital, Oxford. He was a Councillor of the IASP and Chair of the IASP Committee on Ethical Issues. He is the author of many articles and books including “An Evidence-Based Resource for Pain Relief”. McQuay HJ & Moore RA. Oxford: Oxford University press, 1998. Dr John Bonica was a Founder and Honorary Member of the IASP. He was a pioneer in the field of pain research. John Bonica received many honours including the establishment, by the University of Washington, of the John and Emma Bonica endowed Chair for Anaesthesiology and Pain Research. John J Bonica died in September 1994. An appreciation of his life and work was given by Edmund Charlton, Consultant in Anaesthesia and Pain Relief at Newcastle-upon-Tyne, UK, who worked with John Bonica in Seattle. “No excuse for pain” – the place of opioids in non-malignant pain. Beth Israel Medical Centre in New York, USA. He was the Secretary of the International Association of Pain (IASP) and Editor-in-Chief of the Journal of Pain and Symptom Management. Sam Lipton was a co-founder of the Pain Relief Foundation in Liverpool in the 1970s and the Director of the Pain Clinic at Walton Centre for many years. An appreciation of his life and work was given by his colleague John Miles from the Pain Relief Foundation. Sam Lipton died in 1994.